bulbs and luminaires get blurred. " Nowadays LED lighting is ubiquitous, and given how much energy and emissions it saves, that is a wonderful thing. 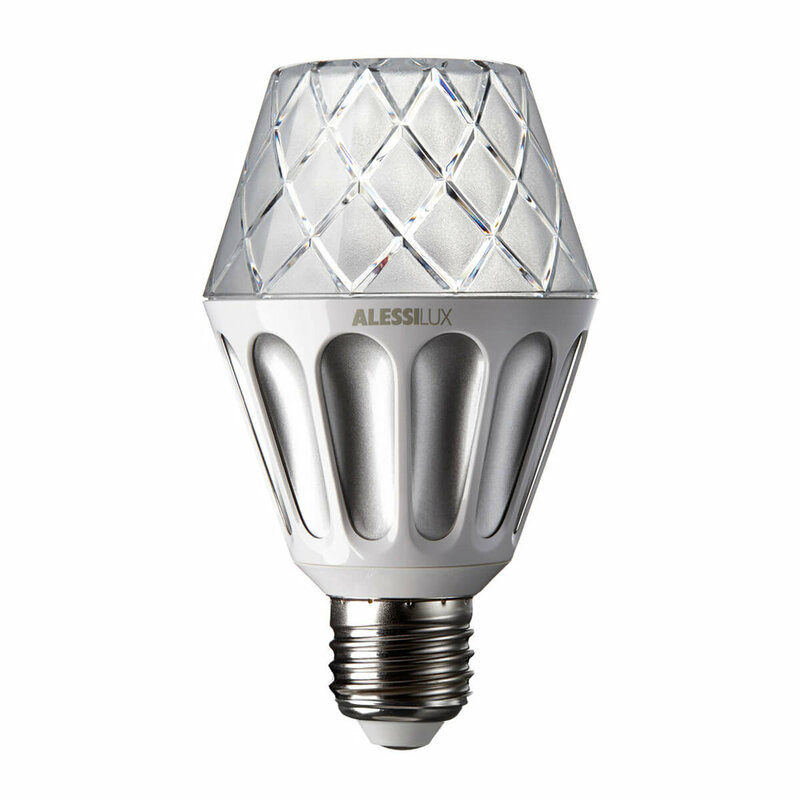 Back in the day, ALESSI were one of the first brands to really adopt LED lighting as a design challenge. The LED revolution was still in its infancy when we were asked to work on a range of extraordinary, eye-catching LED bulbs. The vision? To tell the story of light, with four unique lightbulbs as the protagonists. The use of the oil lamps goes back thousands of years. For much of this time it was the only source of continuous light. It was also very efficient: through capillarity, the paraffin was sucked up a little at a time by the wick. Just like its predecessor, this new Paraffina is equally efficient with its precious source of energy. into a new era of illumination. " Polaris, the North Star, shines brightly in the sky. Almost motionless, this eternal beacon has led countless sailors across the sea to new worlds. Just like its celestial brother, the Polaris bulb celebrates a new generation of light bulbs leading the way to a new era of energy-saving illumination and lighting design. we went back in time – to Vienna and a belle-époque world of fairy-tale ballrooms and amazing opera houses – filled with colourful crystal chandeliers. will never be the same again. " The tam-tam is a traditional drum that was used to pass messages over longer distances or to make important announcements. Through its elegant passe-partout design, TamTam is meant to quickly diffuse into our homes and thus spread the message that LED light bulbs can be so much more than a mere redesign of traditional light bulbs.